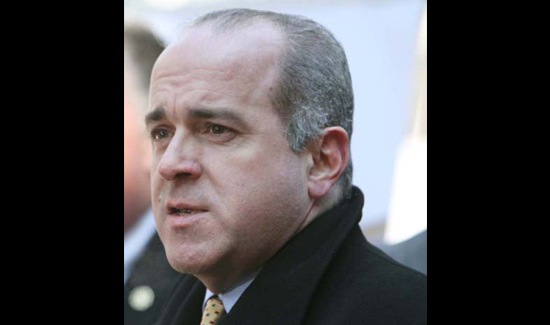 Ed Note: Ed Mullins, president of the Sergeants Benevolent Association in New York City, is blasting the city’s record-breaking $5.9 million settlement with the family of Eric Garner, who died a year ago this week after struggling with officers who were arresting him. Garner’s death caused widespread protests in New York City and around the country. Here, Mullins gives his view of the settlement. The piece originally appeared in the New York Post. The Sergeants Benevolent Association is a founding member of PubSecAlliance. I question: where is the justice for New York taxpayers? Where is the consistency in the civil system? In our civil courts, which are charged with the important responsibility of assessing liability and imposing damages in these types of cases, families are only awarded damages based on calculable, provable facts, such as indisputable misconduct, past earnings and conscious pain and suffering. Settlements such as this are regulated by legal and judicial professionals to ensure that neither politics nor emotion override common sense. In my view, the City has chosen to abandon its fiscal responsibility to all of its citizens and genuflect to the select few who curry favor with the city government. This is a repeat of the shameful settlement mandated by City Hall in the “Central Park Five” litigation. Unfortunately, the City remains on a slippery slope in abusing the trust of the hard-working, taxpaying citizens of New York. The settlement amount tendered to the Garner family is obscene: it is a stark departure from typical settlements in similar cases and is clearly an attempt by the Mayor’s Office to placate outside political agendas. While the death of Mr. Garner while resisting arrest was unforeseeable, this excessive and exorbitant settlement was not: although Mr. Garner did not provide his family with an abundance of wealth, it was clear from the outset that the Mayor’ s Office would: Mr. Garner’s family should not be rewarded simply because he repeatedly chose to break the law and resist arrest. The responsibility of the City in paying damages, if any, to Mr. Garner’s family should be proportionate to its responsibility for Mr. Garner’s death, which was at best, minimal. What was obscene was the casual disregard those officers displayed toward a man that was clearly in need of medical attention. Perhaps NYC needs a few more payouts like that to force the NYPD to change the ways they interact with the community.